Soaring ceilings. Wide-open spaces. Light-filled interiors overlooking Center City’s most dynamic neighborhood. 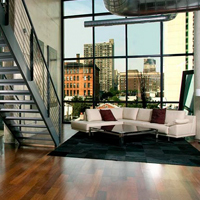 Experience more at 1352 Lofts than at any other loft space in Philadelphia. More room, more vibrancy, more access. Right in the heart of the Avenue of the Arts, 1352 Lofts lets you enjoy a rare combination of location and luxury as well as everything else Center City has to offer. From expansive floor plans to an energizing urban scene, this is the address that opens you up to more possibilities. Secure lobby with 24/7 concierge service.